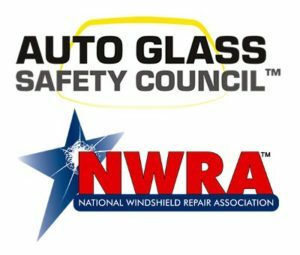 The Auto Glass Safety Council and National Windshield Repair Association announced last month the NWRA will dissolve and its work, standards and members would be folded into a new AGSC Windshield Repair Division. The switch will occur Jan. 1, 2019, the AGSC wrote in a news release Oct. 29. NWRA President Troy Mason said “repair-only” glass shops would still be relevant in the organization. The announcement is obviously relevant to collision repairers handling glass work in-house. Glass expert Bob Beranek, the owner of Automotive Glass Consultants and lead instructor for Auto Glass University, said in a 2017 interview that more collision repairers seem to be adding auto glass replacement capabilities. Collision Hub CEO Kristen Felder observed in a November 2017 “Repair University Live” that the vehicles appearing before a collision repairer are more likely to need new windshields altogether. Nevertheless, the consolidation might make it slightly easier for a collision repairer to find a qualified glass subcontractor for either operation. Glass is structural, just like a frame rail, and yet a shop will outsource it to someone they don’t know, Felder observed on the 2017 broadcast. “Glass plays an impact role in collisions,” she said then. Mark Olson, CEO of Vehicle Collision Experts, said on the show that shop owners should oversee their glass subletter and be in the loop on what’s happening. Felder said then that the glass company might not even be aware of OEM repair procedures and might need them from the shop, and Olson also referred collision repairers to the AGSC’s replacement standard, which he said many insurers require to be followed anyway.